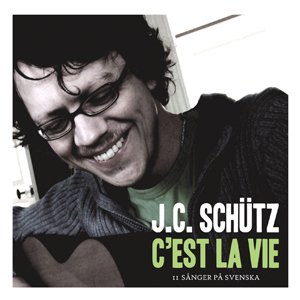 Johan Christher Schütz is a Swedish songwriter and music producer. His songs have been covered by singers from four different continents. He released his first solo album Passion in 2004, which immediately became an indie bestseller in Japan. During October 2011, his song Slow Down was the most played foreign song on Japanese radio. He premiered his first musical Tivolisaga (Carnival Tale) in Sweden in 2013, written in collaboration with director Johan Pettersson. It's fully available on iTunes. In 2016 he was admitted to the BML workshop in London, aimed at nurturing and developing new British musical theatre writing. In 2017 he received the Löf Foundation Culture Award. In February 2018, new musical 'Colette', with music by Schütz, was showcased in the West End at Crazy Coqs, written during the BML workshop. Check out full bio here. Copyright © 2004-2019 Johan Christher Schütz / One Perfect Line Music. All rights reserved.